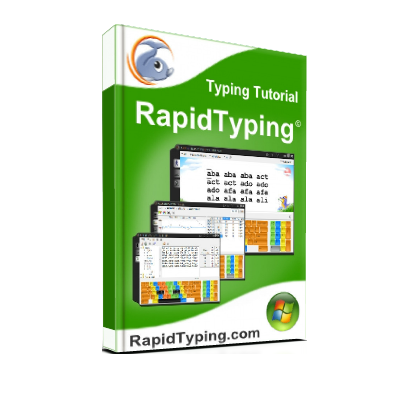 RapidTyping Tutor complete setup free Download for windows. This is complete offline one click standalone setup of RapidTyping which has excellent compatibility with all latest operating systems. Typing is the most in-demand skill for many IT companies and data centers. RapidTyping Tutor is a free tool to learn and train you in typing in an easy way. There are many things in RapidTyping related to typing which can make you Pro in typist. A lot of lessons, typing games, interesting quotes, and stories are available to practices the typing. RapidTyping Tutor has very attractive and eye catching look. The funny thing about the layout is when you open the RapidTyping for the first time its look it is designed just for kids. But when you start using it you will come to know its excellent functions and techniques that will make you a Pro typist in very short period of time. There are many levels to learn the typing like beginning level, medium level, and advance level. All the lessons and game varies from level to level. There are many customization options available. You can customize your themes and can set your desired image in the background. In short, if you want to learn to type in unique easy and funny way and want to test your typing speed then RapidTyping is best typing software for you. Click on the link given below to download RapidTyping Tutor setup free. This is complete offline one click standalone setup of RapidTyping which is compatible with all latest and previous operating system.